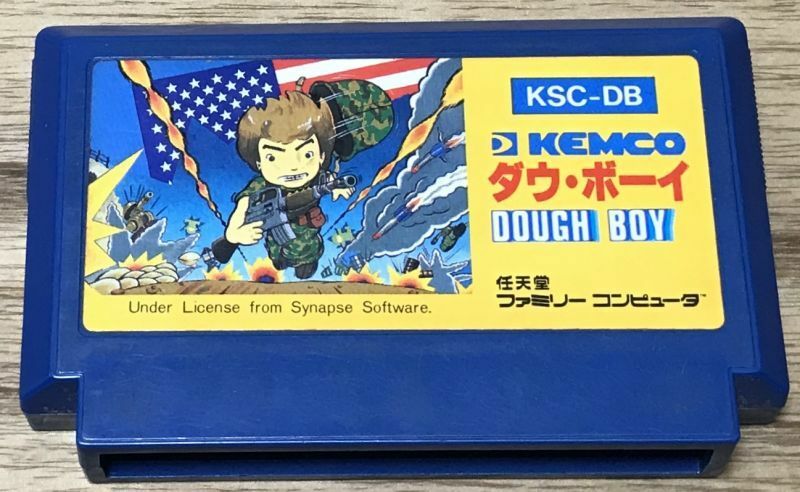 Dough Boy (ダウ・ボーイ) is a military action game. It is a port from a C64 game from 1984. Rescue POWs, hide in trenches and set explosive charges. 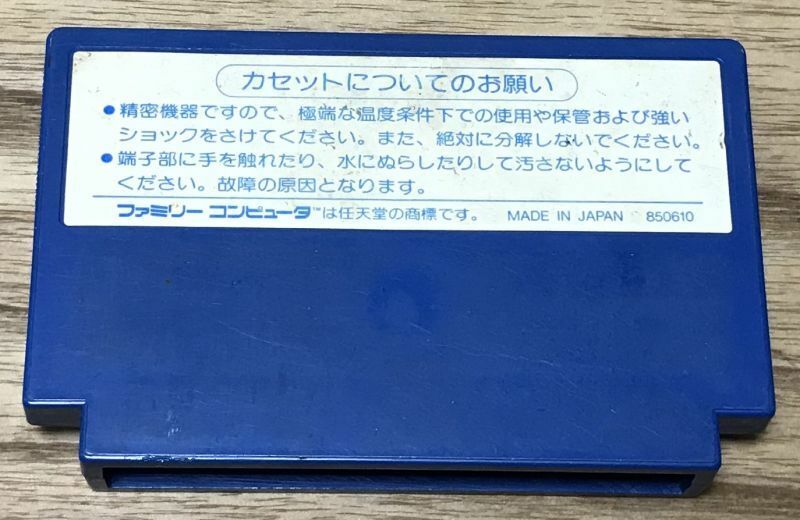 The game contains no Japanese but never had an NES release outside of Japan.